Before I get lost amidst the plethora of books and films that are bound to envelop me in 2016, it’s time to look back on the novels I read in 2015 and construct a list of my favourites, mainly so when I’m asked for book recommendations and my brain is like “duh, I got nothing,” I can refer back to this list and pretend I know what I’m talking about. 2015 was a varied year of reading. I read some great novels and I read some truly awful novels. Others, like Margaret Atwood’s The Heart Goes Last or Nancy Kress’s Yesterday’s Kin, impressed me at the time, but failed to make a lasting impression. For the first time ever, the vast majority of my reading material had been published in the last two years, signalling a bit of a shift in my reading tastes. There’s a few older novels in the list below, but most of them were published in 2014 or 2015. “Fascinating,” as Spock would say. This is the sort of series which will be remembered as being emblematic of an entire genre. 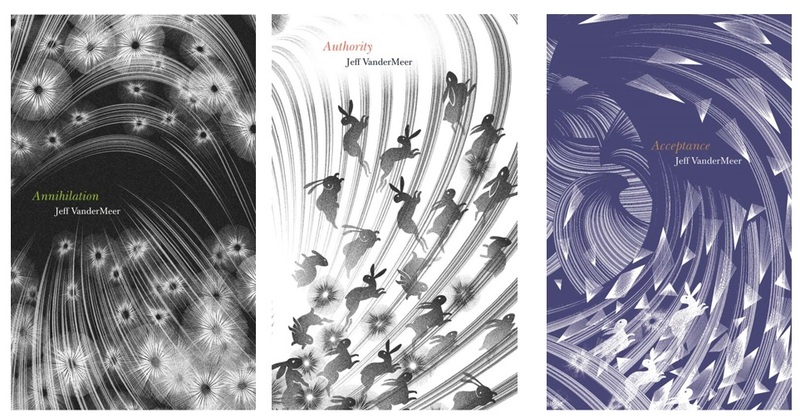 Jeff VanderMeer demonstrates why he is one of the leading voices in the New Weird; he stands with China Miéville as one of the logical successors to H.P. Lovecraft. The Southern Reach is a secretive government agency that conducts research into the mysterious Area X, an uninhabited stretch of US coastline plagued by paranormal phenomena. The series follows the fates of various expeditions into the area, as well as the inevitable breakdown of the agency in the face of such otherworldly horror. Such a description doesn’t do justice to the sheer alien strangeness that VanderMeer weaves through his trilogy. Each page drips with malice; there is an undisguised horror lurking in the background. Area X defies all attempts of explanation. It is an artifact beyond human comprehension, and although some of the characters speculate about its origins or purpose, it is never truly explained – the mystery lingered in my mind long after I finished reading. Apparently a film adaptation is in development. Yay! I was fortunate enough to be able to travel to Gallipoli in April to commemorate the centenary of Anzac Day. My grandfather had been one of the soldiers who landed there on 25 April 1915; the trip was an incredible opportunity for my family to connect with our past, to look across the gulf of a century and remember all that had happened. My friend Garreth and I co-wrote a blog about the experience: Road to Gallipoli. 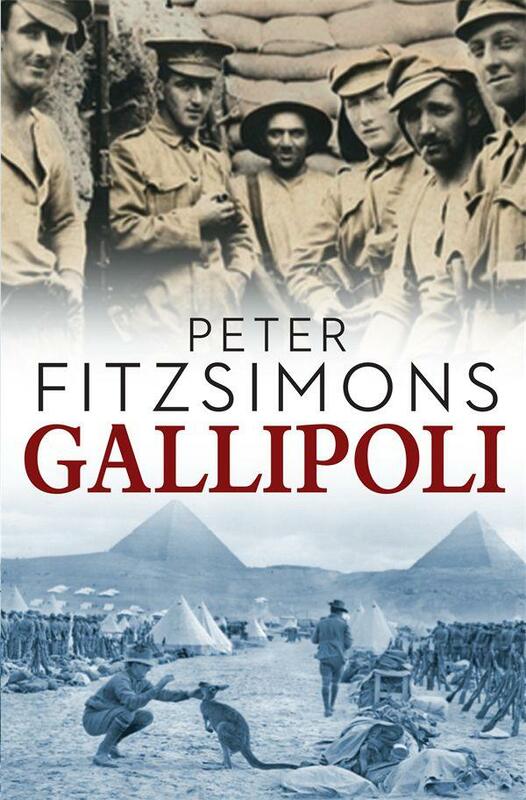 I read Peter FitzSimons’s Gallipoli as part of my research before my trip. No other novel has so completely captured the desperation and futility and sheer madness of that campaign; no other novel has so successfully contextualised Gallipoli’s role in both Australian history and Australian identity. Beautifully written, painstakingly researched, this is an insight into how an Australian defeat at the hands of the Turkish became our most potent national memory. I’d been wanting to read this novel for years, ever since I fell in love with Peter Weir’s 2003 film adaptation Master and Commander: The Far Side of the World. There’s something fundamentally rousing about ships at war on the high seas. Patrick O’Brian’s Aubrey-Maturin novels have been described as the best historical novels ever written – a big claim, but now I can understand why. O’Brian brings a human element to his story about ships at war; our myriad frailties, humour, joy, and pettiness are at the foreground of his characters. Both Jack Aubrey and Stephen Maturin already seem like characters who are destined to much greater lives than the short events described in this novel. And the action scenes are riveting, giving a real insight into naval action in the Revolutionary Wars. The scene when the Sophie attacks and defeats the much larger Spanish frigate Cacafuego is simply stunning. The pursuit at the end of the novel is one of the most tense moments I’ve read all year. I’m looking forward to reading more of the series in 2016. Station Eleven won the Arthur C. Clarke Award in 2015. It follows a group of actors and musicians called the Travelling Symphony who perform Shakespeare and concerts as they travel through a post-apocalyptic Great Lakes region. The narrative jumps back and forth from the past to the present, allowing us to see how the world was devastated by the Georgia Flu. Mandel’s novel focuses on the importance of arts and culture in a post-apocalyptic world. The Symphony is driven by the motto “Because survival is insufficient,” which is repeated in various guises throughout the story. Is it enough to survive an apocalypse? What aspects of art and culture need to survive for us to be able to maintain our humanity? It’s a interesting hypothesis, handled with Mandel’s understated narrative voice. A minor spoiler here! 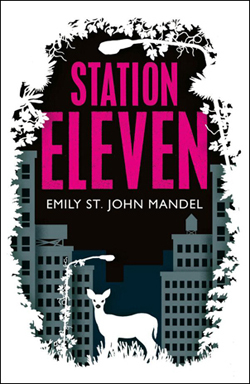 The titular Station Eleven refers to a graphic novel written by one of the characters. Late in the story, a character finds a fragment of this graphic novel, and as I turned the page, a matching fragment of the graphic book fell out from between the pages. It sounds like a cheap gimmick, but it’s a testament to the power and humanity of Mandel’s narrative that it made the entire reading experience feel more alive. Bravo, Emily St. John Mandel. 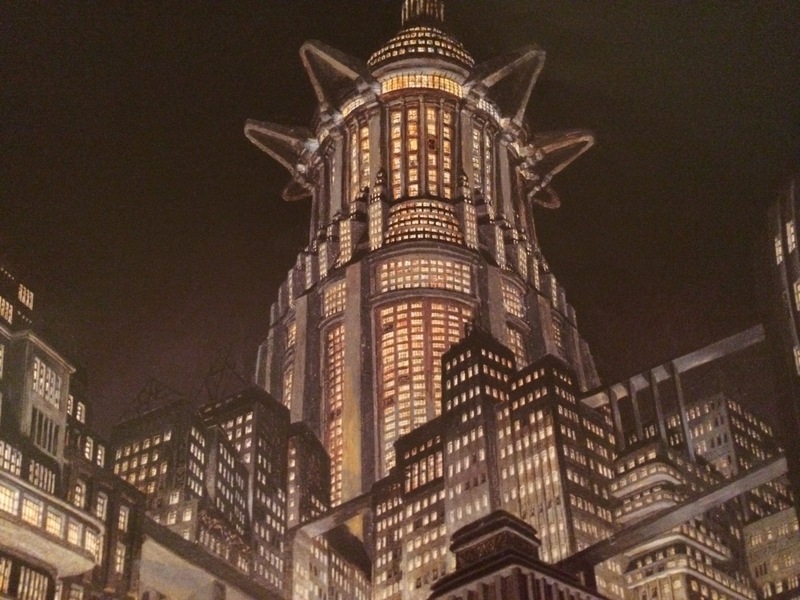 Again, there’s news of a film adaptation, which is pretty exciting. I wrote a review of this novel when I read it in July. It’s tempting to write another few hundred words of praise, because I really believe that Bacigalupi has struck upon an important issue in this novel, rendered tragic and eloquent in his inimitable style, but I’ll direct you to my review instead. 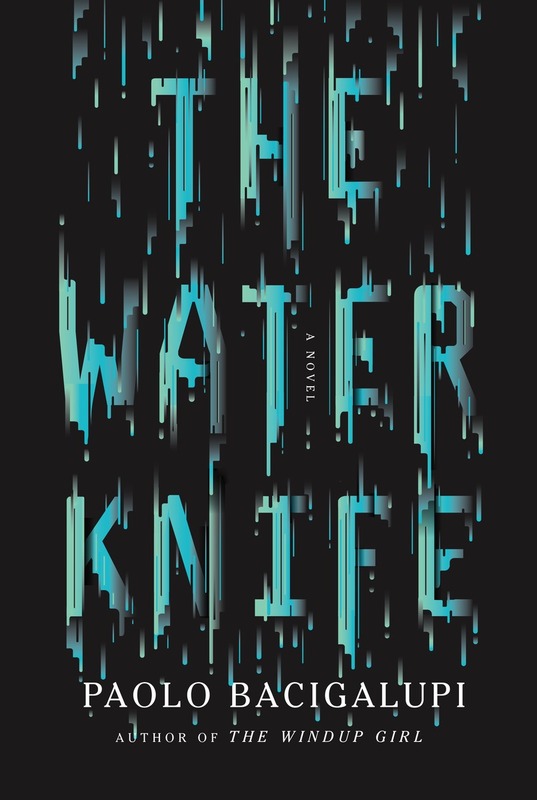 Climate fiction is a growing genre, and The Water Knife – even more than The Windup Girl – cements Bacigalupi as one of its most prominent voices. Again, rather than writing a comprehensive summary, I’ll simply direct readers to my review of this novel. 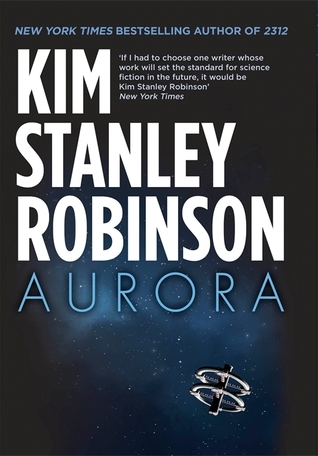 Since I wrote that piece, I’ve read some reviews of Aurora that have been fairly negative, saying that it is a work of “anti-science fiction” because of its pessimism about space travel. Although there’s some valid points here, I can’t help but think that they’re missing the whole point of Robinson’s novel: this isn’t a celebration of space travel, it’s a celebration of what makes us human. It might indeed turn out that our species is unable to survive on other worlds. I am reminded of the line by H.G. Wells: “By the toll of a billion deaths man has bought his birthright of the earth…” If our species is destined to live and die on this planet, then we must look to each other and our environment for salvation, rather than raising our eyes to the stars. Back in 2014, I wrote an article about trailer for Jurassic World where I hoped that the genre would develop a more sophisticated approach to the subject of genetic modification. A few months later, my hopes were answered as I read Margaret Atwood’s MaddAddam Trilogy. Atwood’s post-apocalyptic trilogy depicts a world that has been transformed through genetic engineering, then wiped away by a man-made plague. The survivors try to make sense of their new world whilst still haunted by the sequence of events that brought them to this point. Each book takes place in both the past and present, allowing Atwood to explore both the post-apocalyptic world and the dystopian society that created the plague. Although I would never call this trilogy a prescient look into our future, it does give an uncomfortable glimpse at a potential future of genetic engineering. The narrative complexity is deepened with each book. Characters shift between background and foreground; incidental moments in the first book are given greater significance in the second or third book. It’s not until the end of the trilogy that we are given the entire picture, as Atwood ties all of the loose ends together. Atwood is at her best here, weaving a tragedy of scientific hubris with a cautionary tale about the dangers of genetic modification, all written in that high literary style (and dry wit) which is her trademark. This short novel, set in the same universe as Mitchell’s The Bone Clocks, feels like a condensed version of that much larger work. It’s certainly written for fans of The Bone Clocks: large parts of the plot go unexplained if readers are not familiar with the larger world. But if you are a fan, then Slade House is a real treat. Published on Halloween (2015), this is Mitchell’s version of a traditional haunted house story. Slade House appears on the last Saturday of October, every nine years, where an unsuspecting victim is lured inside. The novel progresses through five time periods, from 1979 to 2015, as successive victims of Slade House become wiser and harder to kill. Part horror, part science fiction, the novel is best described as a Mitchellian melange of genres and tropes that somehow come together in his dexterous hands. As usual, Mitchell demonstrates his ability to write in a variety of distinct voices, from working-class drawl to a refined aristocratic sneer. 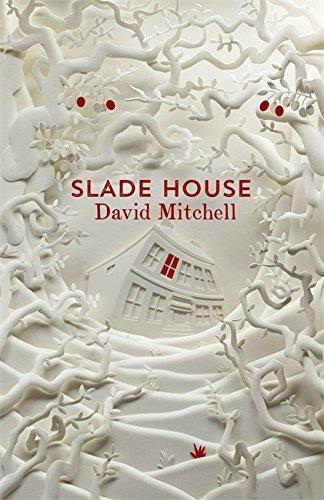 Even the vampiric immortals who reside inside Slade House are given an entirely sympathetic and detailed backstory, one which combines elements of The Bone Clocks and Mitchell’s wider oeuvre. It is a short, yet rich addition to Mitchell’s expanding “uber-novel,” a self-conscious reflection of his past ideas and even ideas that are still in their nascent form. Until I turned my tastes to wider literature about fifteen years ago, I had devoured every single Star Wars novel that had been published and had a knowledge of the Expanded Universe that rivalled Wookiepedia. Despite my love of these books, I couldn’t deny that their quality was suffering as authors tried to tackle the more obscure events and elements of the Galaxy Far, Far Away. Or maybe my reading taste had changed. With the release of The Force Awakens and the rebooted Star Wars canon, however, I decided to pick up a new Star Wars novel and investigate the state of affairs. I was disappointed with Chuck Wendig’s Aftermath, but numerous people recommended I try Claudia Gray’s Lost Stars. And I’m so glad I did. Lost Stars is a Young Adult romance, which is a bit of an unusual concept for a Star Wars novel, but somehow it simply works. The story follows pilots Thane Kyrell and Ciena Ree as they fall in love, but soon find themselves fighting on the opposing sides of the Galactic Civil War. Thane and Ciena are sympathetic, likeable characters, but the strength of the novel is how it gives new depth and meaning to the events of the original trilogy. Gray takes the destruction of Alderaan and the first Death Star and show how they impact on the ordinary folk of the galaxy. Thane and Ciena are present at most of the major battles of the Civil War – we see them lose friends, wallow in defeat, and slowly grow to understand the forces that are behind the war. Some authors tried to tackle these subjects in the old Expanded Universe, but Gray brings a level of sophistication and simple humanity that has been lacking until now. Sure, it doesn’t have the literary pedigree of some of the other novels in this list, but this is a fun novel that should appeal to all Star Wars fans. Plus it features the Battle of Jakku! As a bookseller AND a Star Wars fan I’m very happy Lost Stars made your list. It was a little gem that many, I fear, have missed. Also, my colleagues would agree with Station Eleven and Slade House. Good list! Thanks!! 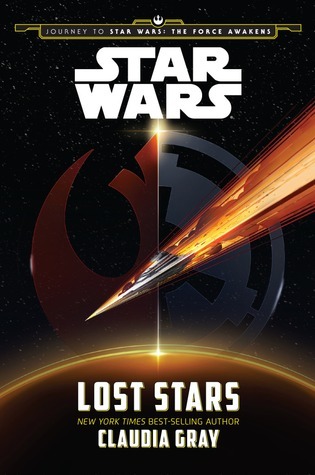 Lost Stars was such a surprise – I didn’t think I would ever really get into Star Wars novels again, but this has changed my mind. Happy new year to you. This is a varied and very interesting list. I am glad you enjoyed the Patrick O’Brian book – an old fashioned storyteller/craftsman author. Lost Stars may well find its way onto my 2016 reading list. Good YA scifi and paranormal can be very very good; it is a genre that is one of my private reading indulgences! Happy New Year! Yeah, I had quite a varied year of reading, which I’d like to do again in 2016. Would highly recommend Lost Stars!